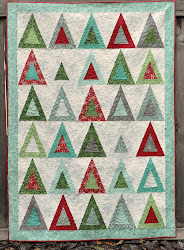 I have been looking at log cabin quilts and blocks on Flickr and really loving them. 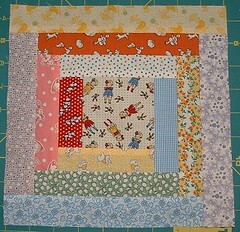 I came across this tutorial for scrappy log cabin blocks and I'm hankering to make some! Soon! SILs will be giving birth to a boy and a girl in the next few weeks so I'll be making a quilt for each of the new babies. 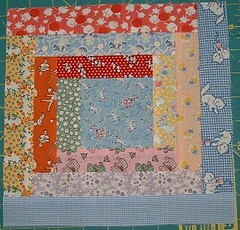 I have a stack of 30's fabrics from a swap a while back and I'm going to start making log cabin blocks from them. 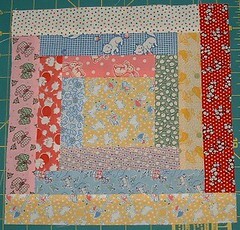 I don't know if I'll use the same pattern as in the tutorial or make the blocks bigger. I'm thinking bigger. But I like how it looks to have the middle square bigger than the logs so I'm keeping that in mind while I plan.